This property has the most incredible views; views to the SW so you can watch a storm rolling in and views to the north with the beautiful green meadows. Look to the east and your white fenced pastures, the horses and the sunrise – absolutely mesmerizing. Barns and outbuildings for the horses, chickens, sheep and the truck. There is a large Greenhouse, Chicken Hilton, studio, and water and electric to the outbuildings. Perimeter fenced and cross fencing gives you several options and State Forestry Ag status keeps the taxes very low. Horseback riders – ride your horse about 1/3 mile into the US Forest Service. Ride to Pringle and lunch at the Hitchrail Bar/Restaurant. 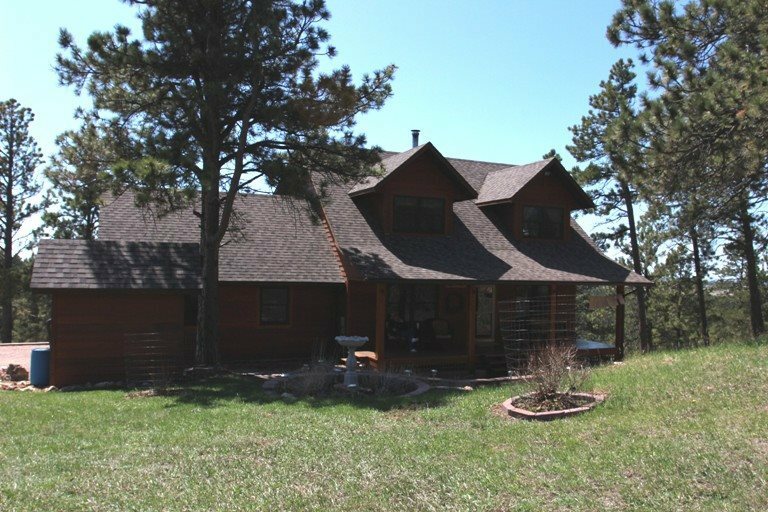 The home has 4 bedrooms and 3-1/2 bathrooms, formal dining room, Living and TV rooms with 5” oak flooring and views from every window. The kitchen has been completely remodeled with cherry cupboards with under counter lighting and granite countertops. Upstairs has 3 bedrooms and 2 full baths.